It seems that I’m much better at finding the pulse of the food scene in cities other than my own. I’ve explored the food truck scene in Portland, San Francisco, New York and Honolulu and I even have a list of the places I want to try the next time I’m in LA. But it’s been over a year since food trucks were introduced in Vancouver and although I’ve been paying attention to what’s going on, I’ve yet to eat at one. I’ve recently made it my mission to discover the food trucks of Vancouver but it feels like with so many options I didn’t know where to start. I downloaded the Vancouver Street Food App and although it’s a fantastic resource, it didn’t help to narrow down my choices or map out a plan for me. Nothing like having other food loving friends to help guide my way! 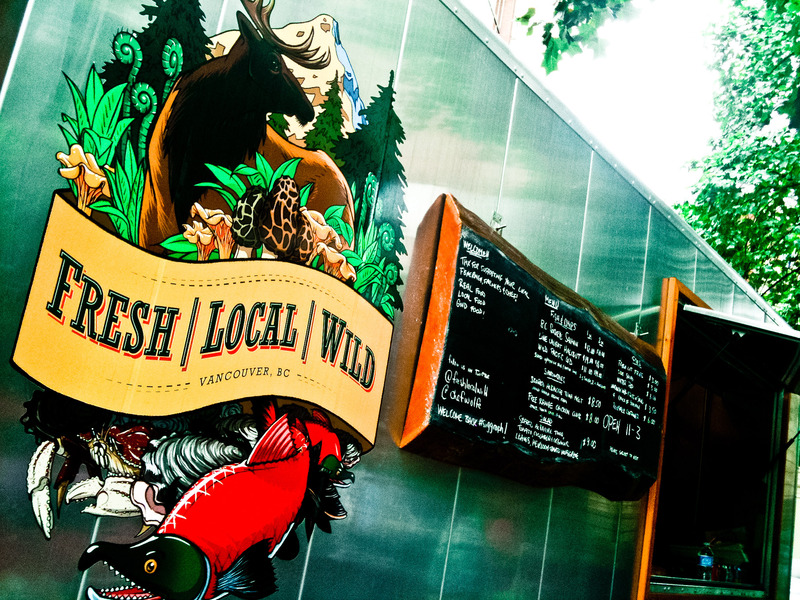 Located on the corner of Hastings and Burrard, Fresh Local Wild came with very high recommendations. I think the words “best clubhouse EVER” was what convinced me that this was a food truck I HAD to visit. On a sunny summer’s day, I grabbed my work lunch partner to join me on a food truckin’ adventure. Of course I had to order the chicken club and I wanted to have the oyster sandwich as well. Unfortunately they didn’t have the oyster sandwich that day and although I wanted to get the fish&chips I was trying to be “good” so I didn’t allow myself to choose that as an option either. “Best clubhouse sandwich” I’ve ever had? Actually I think it was. The tender spiced chicken coupled with the meaty bacon and spicy aioli made this sandwich a very special sandwich. 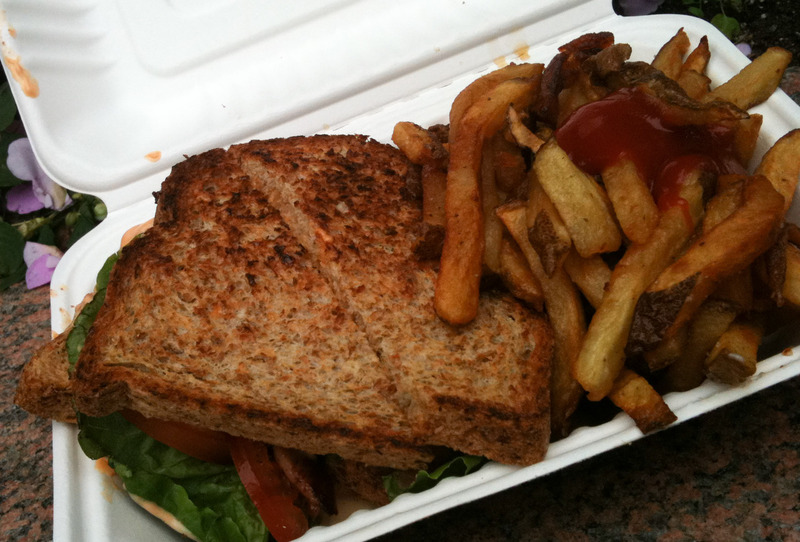 I rarely crave sandwiches but thinking about this one now, I’m feeling like I want to go back. The fries were adequate, but I felt they weren’t worth the guilt they caused when I ate them. This ain’t your university residence tuna melt. 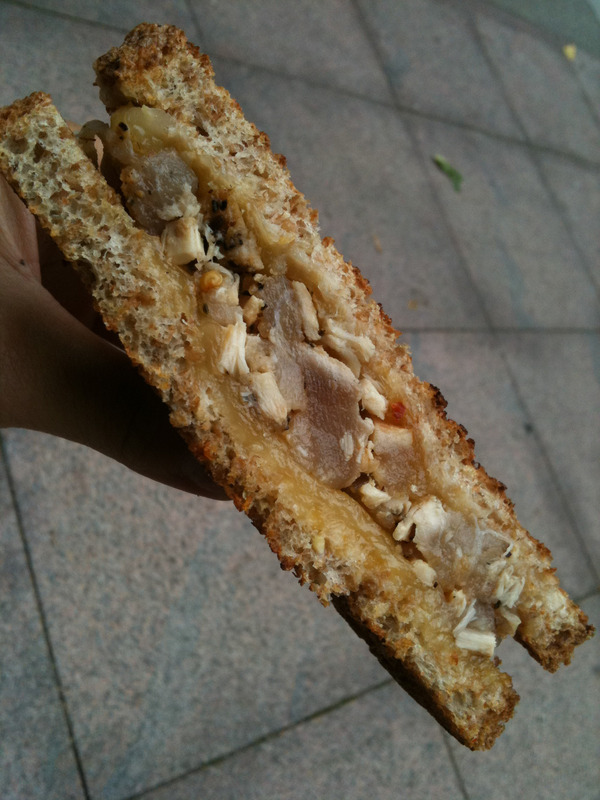 I enjoyed the nuttiness of the toasted bread coupled with the smooth cheese and tender tuna. I thought it could have used a sauce of some sort, but I solved that dilemma by dipping it into a ketchup/sriracha mixture I created on the side. With so many food trucks to explore, it’ll may be a while before I have a repeat visit to Fresh Local Wild, but I’ve put it on as one of my “favorites” on app so I know I’ll be back! I love the graphic on the truck. and the food looks delicious. reading your post really made me want to go find an oyster sandwich or po’ boy myself. Thanks for reading! I was sad I only had my iphone with me as I just don’t think it did the delicious food or the cool food truck justice. Just checked out your blog and your KCC Farmer’s Market(one of my favorite farmer’s market) post makes me want to go back for a visit! Thank you. The KCC market especially, is growing a lot. So are the ones in Kailua and at the Blaisdell. Hope you make it back. its definitely a great experience.